Normann Copenhagen created a new design award together with the Danish Arts School in the year 2008: the Time To Design Award. The awarding starts a new round in the year 2012. 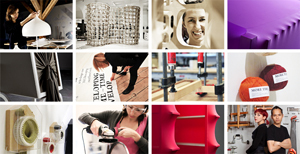 Young, innovative designers should be encouraged by the Time To Design Award. These must present their works until the 13th of June and a jury will select the winner, which is going to be presented in the end of August. The jury consists of experts from Normann Copenhagen and the cooperation partners Danish Art workshops, the Danish Architectural Press, the TA design committee and the OeO agency. The aim of the Time To Design Award is to create a common platform for design talents and to offer them a basis to start into an own career by the cooperation of private and public sectors. The prize includes a three-months stay at the Danish Art Workshops, 50.000 Danish Crowns, individual advice by professionals of the OeO and a two-months exposition in the Normann Copenhagen Flagship Store.